Gabrielle Palermo is the 2013 spring semester Outstanding Graduate of the Ira A. Fulton Schools of Engineering at Arizona State University. 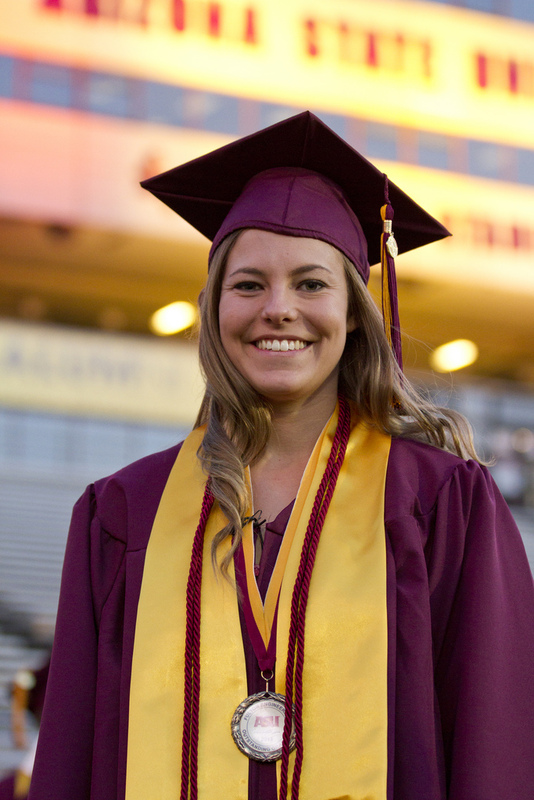 She’s among other top ASU spring engineering grads with a record of exceptional achievement and contributions through their studies, research and community service. Photo: Jessica Slater/ASU. At the end of the fall and spring semesters, the Ira A. Fulton Schools of Engineering bestows special recognition on a number of students from among the undergraduates who will receive their bachelor’s degrees at each semester’s commencement. Faculty members in each engineering program designate one student to be the program’s Outstanding Graduate. From among these students, one is selected to receive an award presented by the Arizona State Alumni Association as the Fulton Schools of Engineering Outstanding Graduate. In addition, several students who have exceedingly exemplary records of accomplishment in endeavors beyond the classroom are named Distinguished Graduates. This semester, as in most, the honored graduates have not only earned high grades in their classes but have excelled in research, leadership of student organizations and community service projects. They have also earned real-world experience through internships, entrepreneurship ventures, and engineering and technology competitions with students from other universities. In addition, they have furthered the Fulton Schools of Engineering’s mission by volunteering their time to mentor and tutor fellow university students and instruct younger students through K-12 education outreach. Palermo began putting her education in biomedical engineering to work by the time she was little more than half way through her undergraduate studies. In early 2011 Palermo became the co-founder with three other ASU students of G3Box, a venture to convert large steel shipping containers into portable medical clinics and mobile disaster-relief stations. Within two years, the team raised $50,000 in funding from grants and donations, and completed two mobile clinics with support from DRP Construction company. Palermo and G3Box won Entrepreneur Magazine’s National College Entrepreneur of 2011 award. The team would also be a featured college-student startup in Fast Company magazine, become a finalist in an international contest for student innovation and be the subject of stories by national news media. Now, at graduation, Palermo is chief operations officer of the business that is moving beyond concept and design into the organizational, construction, manufacturing and supply-chain system stages. Despite the time and effort devoted to the entrepreneurial endeavor, Palermo has performed well enough to make the Dean’s List each semester for the past two years while chalking up other accomplishments. She got real-world experience in her field of study through an internship at Advanced Cardiac Specialists in which she worked with cardiac rehabilitation patients. As part of a team competing in the Institute of Medicine and National Academy of Engineering Health Data Collegiate Challenge, Palermo helped create a website designed to provide safe medical care by centralizing hospital and personal health care data. She earned an Engineering Dean’s Student Scholarship. She served as a peer counselor, helping younger students develop their résumés, learn job-interview skills and explore career opportunities. She was an undergraduate teaching assistant and mentored students on project management, grant applications and project presentation. King earned a 3.81 grade point average and made the Dean’s List for six consecutive semesters. He was a member of the national Tau Beta Engineering Honors Society, which accepts only the top 5 percent of engineering students, and served a stint as its treasurer. He served as a teaching assistant, helping to plan classroom lessons and instructing younger students in fundamentals of engineering, design and renewable energy class projects. He developed and instructed a summer freshman course in spatial visualization and conducted an experimental demonstration for children at ASU’s annual Night of the Open Door public outreach event. He participated in advanced research on carbon nanotubes through the Fulton Undergraduate Research Initiative. As a mechanical engineering intern with the Extreme Environments Robotics and Instrumentation Laboratory, he helped develop a micro submarine that was deployed to Antarctica in January to explore sub-glacial lakes and looks for signs of life. He also worked as a manufacturing engineer intern with a packaging company and is working on building a robot to participate in the NASA Robo-ops competition at the Johnson Space Center in June. He grew up in Chandler and graduated from Hamilton High School. King has been hired to work in the engineering department of Cisco in San Jose, Calif.
Stevens maintained a 4.0 grade point average and made the Dean’s List for seven semesters while building a collection of awards, scholarships and grants from the NASA Space Grant Project, the Tau Beta Pi Engineering Honors Society, the Fulton Undergraduate Research Initiative and the national Safety and Chemical Engineering Education program, among others. 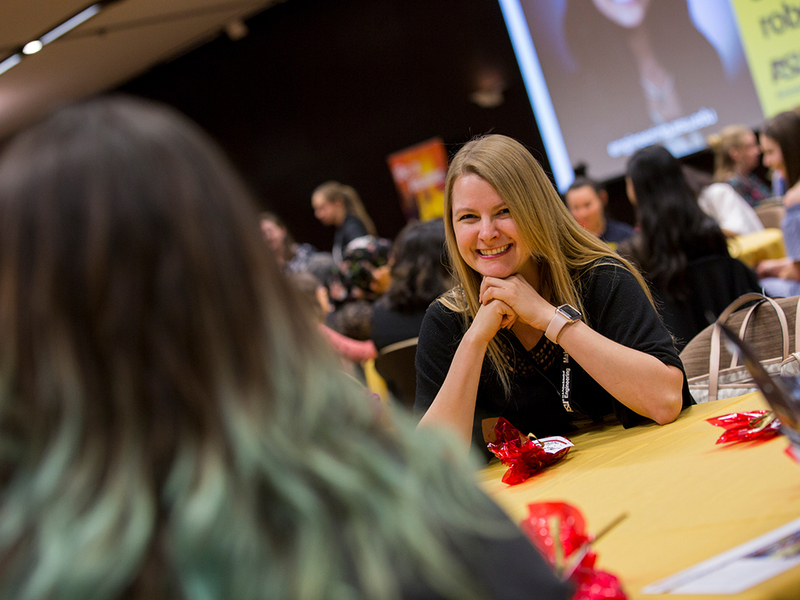 Stevens served one-year terms as secretary and vice president of the ASU chapter of the American Institute of Chemical Engineers, was a lead counselor for ASU’s Summer Engineering Experience and a mentor to freshman engineering students. He was an undergraduate teaching assistant in both lower- and upper-level chemical engineering courses. He conducted research with support of a NASA Space Grant, worked in a Department of Energy summer research program at Pacific Northwest National Laboratory and was a summer research intern at ASU, working with the chair of the chemical engineering program. With faculty members and fellow students he co-authored several research papers and presentations, including some presented at professional conferences and research symposiums. He will pursue a doctoral degree in chemical engineering. A student in ASU’s Barrett, The Honors College, Harrington maintained a 4.0 grade point average and made the Dean’s List each semester. He was involved with several leadership positions with student organizations, most significantly the ASU chapter of the American Society of Civil Engineers (ASCE). He was the chapter’s design captain for a team that competes in the annual ASCE Steel Bridge Competition at the Pacific Southwest Conference. He also served as a conference coordinator for ASCE at the event. Harrington also helped younger students as an undergraduate teaching assistant in the civil engineering structural analysis and design course. He was recognized as an Outstanding Undergraduate Teaching Assistant for his contributions to the course for the past three semesters. Harrington worked internships with Stanley Consultants, Kimley-Horn and Associates, and most recently with DLR Group, an architectural firm with in-house structural engineering. He has been accepted into the engineering graduate program at ASU to pursue a doctoral degree in engineering with a focus on structures and materials. He was awarded the Dean’s Fellowship and a Fulton Fellowship to fund his studies. Harrington’s hometown is Chandler. He graduated from Seton Catholic Preparatory High School. A student in ASU’s Barrett, The Honors College, Chloe Patterson has maintained a cumulative 4.0 grade point average while also earning a minor in mathematics. Patterson was a National Merit Scholar finalist and an Advanced Placement National Scholar. She worked as a summer intern with Microsoft and became a certified math tutor at ASU, mentoring students and assisting in conducting math classes. She also was a lab assistant at ASU’s LeRoy Eyring Center for Solid State Science, where she worked on computer programs and equipment to support operation of a particle accelerator. Her skills in a wide range of computer programming languages and systems enabled her to aid fellow ASU students as a computer science tutor in the Fulton Schools of Engineering Tutoring Center. Patterson is from the Portland, Ore. area, and will return to the Pacific Northwest after graduation for a job as a software engineer. Babb came to ASU after graduating with honors from Central Arizona Community College. His academic performance earned him scholarships, grants and fellowships from the Motivated Engineering Transfer Students program, ASU Parents organization, Fulton Undergraduate Research Initiative, and the American Society of Engineering Education among others. He was an undergraduate research assistant for an ASU computer systems engineering faculty member. His work in development of formal online autonomous reasoning led to a research paper published in the Cambridge Journal of Theory and Practice of Logic Programming. It also spurred development of the CPlus2ASP 2.0, an open-source project that provides generalized reasoning for offline and online problems. Babb did an internship as a software engineer at Tinker Air Force Base in Oklahoma and has been employed for more than year in a computer systems operations position with Solomon Technologies, focusing on development of mobile prenatal medical solutions. He is the lead Android application developer for the company. He worked with the METS program to recruit students from community colleges to transfer to ASU and advise them on the transfer process. Babb plans to earn a master’s degree in computer science from ASU by the spring of 2014. He is contracted to do work for the U.S. Department of Defense after completing the master’s program. Procopio earned a grade point average of 3.42 while getting a range of on-the-job experiences during his undergraduate years. He worked in a civil engineering position with Alpha Geotechnical & Materials Inc. and as a project engineer with Hill International Inc.
Procopio was a transportation engineering intern with the Arizona Department of Transportation, working with the agency’s Phoenix Region Design Team. He also worked as a community assistant in the Engineering Residential College on ASU’s Tempe campus. He passed the Fundamentals of Engineering exam and will receive an Engineer in Training Certification upon graduation, and then pursue a professional engineer license. Procopio was a member of a team that won a second-place award at the Associated Schools of Construction Reno Competition, a major annual student construction management event. He was a member of Chi Epsilon, a national civil engineering honors society and the ASU chapter of the American Society of Civil Engineers. He has accepted a full-time position in Dallas as a project engineer with McCarthy Building Companies. He grew up in Ahwatukee and his family currently resides in Chandler. He graduated from Seton Catholic Preparatory High School. A student in ASU’s Barrett, The Honors College, Skyler Holloway earned more than 20 scholarships to support his undergraduate studies, including awards from the Associated General Contractors of America, the Association for the Advancement of Cost Engineering, and Design-Build Institute of America. He captained ASU student teams that participated – and won top awards – in regional and national competitions sponsored by major construction industry organizations. Holloway has earned a cumulative grade point average of 4.0 while also completing minors in sustainability and business. He has made the Dean’s List in each semester during his undergraduate years at ASU. Holloway gained work experience through internships with companies, including DPR, Whiting-Turner, McCarthy, Penhall, and PENTA – all while carrying a heavy course load in school. He still made time for introductory piano lessons, ballroom dancing and a poetry class while at ASU. During his undergrad years, he went on study-abroad trips to Costa Rica and Australia, as well as volunteered in El Salvador and Mexico to work on projects to build homes and a hospital. He also worked with Habitat for Humanity in Phoenix. This summer Holloway will travel to Fortaleza, Brazil, to present his undergraduate thesis at the International Group for Lean Construction Conference and has been awarded the largest fellowship granted by Stanford University to begin studies in the fall for a master’s degree in sustainable design and construction. Holloway’s hometown is Las Vegas, Nev., where he graduated from Green Valley High School. Rogers maintained a 4.0 grade point average at ASU after transferring from Mesa Community College. By the time he began studies at ASU he had already started his own small-business venture, Air Audio, an online business that provided audio wiring solutions for professional audio applications. 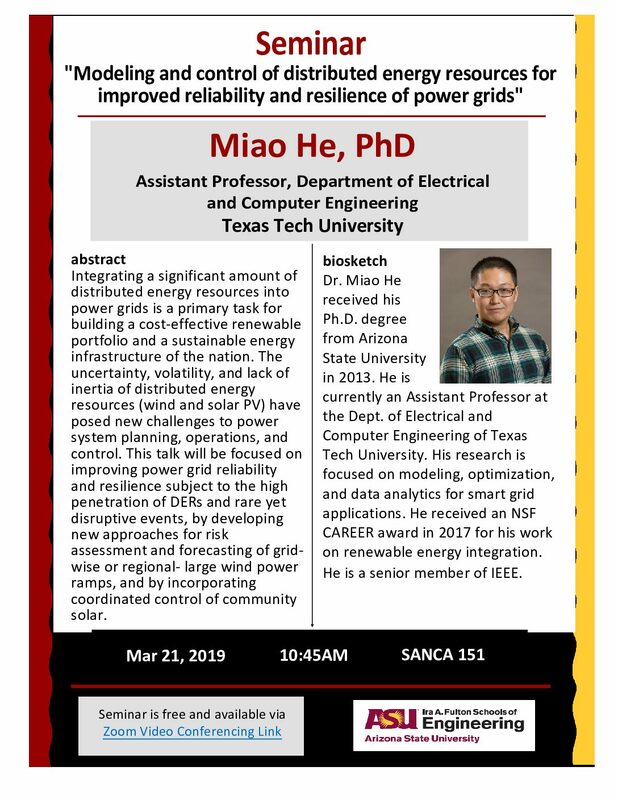 He got real-world experience as an undergraduate research scholar for the Future Renewable Electrical Energy Distribution and Management (FREEDM) Systems Center at ASU, part of a National Science Foundation consortium. Results of research in which he took part were published in the conference proceedings of national meetings of the Institute for Electrical and Electronics Engineers. Rogers also made a presentation on his research at a national conference for undergraduate researchers. He served as an undergraduate teaching assistant and participated in ASU’s K-12 engineering education outreach through Night of the Open Door, More to Explore and Engineering Jump Start. In June he will begin working as an applications engineer with Microchip Technology in Chandler. Sanders maintained a 3.50 grade point average, earning a Provost’s Full Tuition Scholarship and made the Dean’s List for three semesters. She was a member of the ASU student chapters of the Institute of Industrial Engineers and the Society of Women Engineers. She earned a Six Sigma Greenbelt Certification for leadership skills in quality-improvement project management. Sanders worked as a product development engineering intern for Microchip Technology in Chandler and a customer and product support project management intern for Honeywell Corp. in Tempe. She has worked the during the 2011 and 2012 National Football League seasons as a cheerleader for the Arizona Cardinals. Sanders was chosen “Star of the Game” for her cheerleading in both of her seasons with the Cardinals cheerleaders and got a Cheerleader of the Week award in the 2012 season. Born in Philadelphia, Sanders grew up in Scottsdale, where she graduated from Desert Mountain High School. After graduation, she will begin a full-time job as a senior specialist tech project manager with AT&T in Austin, Texas. Lehnhoff maintained a 4.0 grade point average while earning a certificate in international business in addition to her engineering degree. She participated in a project that applied Lean Design and Six Sigma managerial strategies for Taser International and L-3 Warrior Systems. Lehnhoff got involved in community outreach through ASU’s Engineering Projects in Community Service program, ASU’s Student Alumni Association, and the World’s Championship Bar-B-Q Cook-off Committee for the Houston Livestock Show and Rodeo. She worked a summer internship in an organizational and logistics position with Weatherford International Northwoods Manufacturing in Houston. She is a member of The Honor Society of Phi Kappa Phi at ASU and the National Society of Collegiate Scholars. Lehnhoff is from Missouri City, Texas, where she graduated from Lawrence E. Elkins High School. This summer, she plans to travel to Europe, Costa Rica, Mexico and Washington, D.C., before leaving for China, where she will begin an intensive language program in Mandarin and an internship in Beijing. Wesley Roberts earned a 3.89 grade point average at ASU after transferring from Paradise Valley Community College. He later earned a scholarship from ASU’s Motivated Engineering Transfer Student program and made the Dean’s List and President’s Honors List several times during his undergraduate years. He was also member of the Phi Theta Kappa International Honor Society. Since May 2011 he has worked as a software developer and network automation intern for GoDaddy! in Scottsdale. He also did a programming and information technology internship with HBI International in Phoenix and worked for almost three years with ASU’s Engineering Technical Services department. Sutton made the Dean’s List for seven semesters, earning a grade point average of 3.65. She was awarded an ASU President’s Scholarship for exceptional academic achievement and the Panhuise Engineering Scholarship for two consecutive years. She did an internship for Refrac Systems in Chandler in which she did quality testing for metal and metal alloy products. She is now doing an internship in research and development for Paragon Vision Science in Mesa, where she is developing innovative contact lenses with capabilities beyond vision correction. Her lab assignments focused on nanowires and superconductors. Her primary research experience has been in working with carbon nanotubes for biomedical applications, specifically as a method to treat atheroma – a leading form of heart disease. She has served as an undergraduate learning assistant, overseeing and assisting in lab experiments by freshman materials science and engineering students. Sutton has been an active member of the ASU chapter of the Materials Advantage professional science and engineering organization. In that role she has worked as a volunteer to give laboratory tours and demonstration to elementary school students. Her hometown is Phoenix, where she graduated from Greenway High School. Sutton plans to return to ASU to earn a master’s degree in materials science and engineering. As a student in ASU’s Barrett, The Honor College, Strong earned a grade point average of 3.83 and qualified for the Dean’s List each semester during his undergraduate studies. He came to ASU with support from a National Merit Scholarship. His time at the university was highlighted by becoming one of the five founders of 33 Buckets, a venture to design, build and develop a sustainable water purification and distribution system that could be used in remote communities in underdeveloped countries. The team plans to travel to Bangladesh this summer to implement its first system. The 33 Buckets team was one of five teams selected from among more than 1,800 applicants as a finalist in the Dell Social Innovation Challenge in 2012. The team also won funding from the ASU 10,000 Solutions competition. For almost two years he has helped tutor ASU students in math, science and engineering courses, and led study sessions for exams. He plans to complete work next year to earn a master’s degree in mechanical engineering at ASU. Strong is from the town of Sammamish, Wash., and graduated from Eastside Preparatory School in nearby Kirkland. Chemical engineering major Barker maintained a grade point average of 3.83 as a student in ASU’s Barrett, The Honors College. She won the ASU Presidential Scholarship and the Dean’s Exemplar Student Scholarship to support her undergraduate studies. Barker is a co-founder and director of operations of SafeSIPP, an entrepreneurship venture founded by a group of ASU engineering students that developed a patent-pending system to purify and transport water for developing-world communities. She helped write proposals and make presentations that brought more than $35,000 in funding to support SafeSIPP. The founders won the Engineering Projects in Community Service Team of the Year award, and Barker was selected as one of the program’s Make a Difference Students. Barker also developed a website application for an interactive medical calendar allowing users to keep track of medical appoints and incentivize people to be proactive about maintaining their health. It won a prize in the Institute of Medicine and National Academy of Engineering Health Data Collegiate Challenge. She worked as an engineering product supply intern for the Procter & Gamble company. At ASU, she served as an undergraduate teaching assistant, and helped with high school education outreach efforts through Engineering Projects in Community Service. She also was a mentor for E2 Camp, the freshman orientation experience for ASU engineering students. Barker got experience in commercializing developing technologies through work with Arizona Technology Enterprises, the exclusive intellectual property management and technology transfer organization for ASU. She was a member of the ASU student chapter of the American Institute of Chemical Engineers. As a student in ASU’s Barrett, The Honor College, biomedical engineering major Frear maintained a grade point average above 3.5, won an ASU President’s Scholarship and the Dean’s Exemplar Student Scholarship. She made the Dean’s List regularly. Frear spent a summer at the University of California working in a highly sought-after intern position in the Center for Integrated Nanomechanical Systems. She was also a programming intern for Northrop Grumman, a global security systems company. She worked under associate professor of bioengineering Stephen Helms Tillery in ASU’s Sensorimotor Research Group through funding she earned from the Fulton Undergraduate Research Initiative. She was peer mentor for freshman engineering Barrett honors students, treasurer for ASU chapter of the Society of Women Engineers, and the secretary and then president of the ASU chapter of the Biomedical Engineering Society. She was also a volunteer for C.U.R.E., an organization that provides medical equipment to third-world countries. Frear plans to earn a doctoral degree in speech and hearing bioscience at Harvard University, where she will begin studies in the fall. She is from Phoenix. She graduated from Desert Vista High School in Ahwatukee. Garcia, a mechanical engineering student, earned a 3.48 overall grade point average, made the Dean’s List for four semesters, won an ASU Presidential Scholarship and the Academic Decathlon Top Score Scholarship. She made exceptional contributions outside of the classroom. With the Fulton Ambassadors, she promoted ASU’s engineering programs through outreach to high schools, giving campus tours and helping to staff University events. She was a member of a student committee that worked to improve the E2 Camp orientation for freshman engineering students and was a peer mentor liaison at the camp. She was also an undergraduate teaching assistant and provided guidance to new students. Garcia was a member of a senior-year capstone design team sponsored by the W.L. Gore company that won a competition against teams from the University of Arizona and Northern Arizona University to build a compact, portable, leak-proof and easily assembled rain booth. Her hometown is Phoenix. She graduated from Cesar Chavez High School in nearby Laveen. A chemical engineering major and student in ASU’s Barrett, The Honors College, Lozada has maintained a grade point average of 3.86 after transferring to ASU from Arizona Western College after earning a Phi Theta Kappa All-Arizona Academic Team Award, which provided her a tuition scholarship. Lozada also earned scholarships from the Society of Women Engineers and the Society of Hispanic Professional Engineers, among others. She has been an active member of those societies as well as the ASU Coalition of International Students and the ASU chapter of the American Institute of Chemical Engineers. She worked at the Swette Center for Environmental Biotechnology at ASU’s Biodesign Institute, where she conducted research to optimize microbial electrochemical cells, and at the ASU Sustainability Consortium. She worked a summer engineering internship at Henkel Consumer Goods Inc. in Scottsdale and completed a research internship with the Colorado Center for Biorefining and Biofuels. She also served as an undergraduate teaching assistant for upper-division chemical engineering courses. She has also been a peer mentor to freshman engineering students. Lozada was born and raised in Quito, Ecuador, and went to high school there at Colegio La Salle through her junior year. For her senior year she went to high school in France as a cultural exchange student. Lozada now has a full-time position as a supply chain and manufacturing engineer at the Gowan Company. great…. looking forward to join ASU…as all i read was inspiring and motivating.